It’s important to begin taking your child to the dentist at an early age. Triangle Pediatric Dentistry as well as the American Academy of Pediatric Dentistry, the American Academy of Pediatrics, and the American Dental Association all recommend that children visit the dentist for the first time around their first birthday. 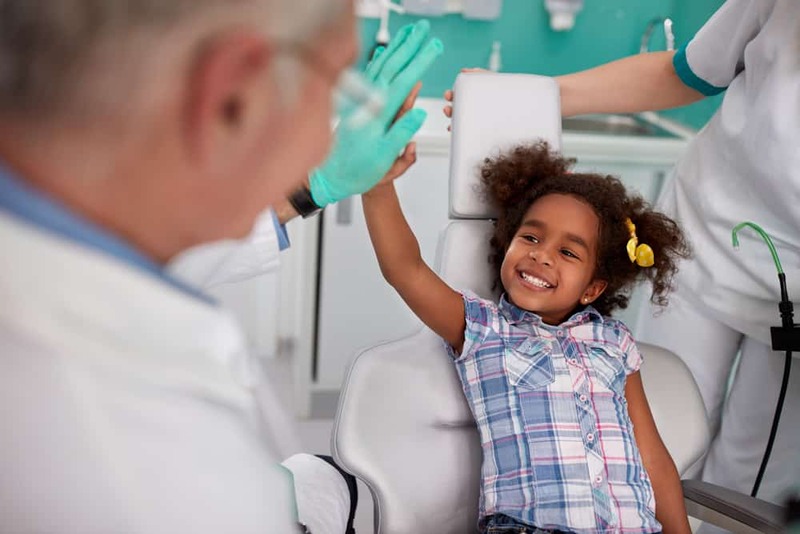 By taking your child to the dentist at age one, a pediatric dentist can design a custom preventative program that can keep them free of cavities and dental impairments. Many parents are unaware that dental problems can begin at a very early age. Once you start incorporating foods and drinks into your child’s diet rather than solely feeding them breast milk, their teeth are susceptible to decay. Studies have shown that the most common chronic childhood disease in the United States are dental cavities. Believe it or not, dental cavities affect about a half of all first graders in the country. To help your child prevent cavities, dental visits at an early age are imperative. If your toddler gets anxious at doctor’s offices, you should do your best to be patient and alleviate any fear or anxiety they may have. Triangle Pediatric Dentistry, a premier Raleigh pediatric dentistry, suggests that you read your child books about visiting the dentist and encourage them to play “dentist” with a doll or favorite stuffed animal. When explaining what a dentist does, be sure to use positive language and kid-friendly terms. In addition, congratulate your son or daughter when they do a good job opening wide and make a genuine effort to be supportive and patient if your toddler has a hard time cooperating. Our good friend and Raleigh Orthodontist, Dr. Jason Gladwell, often explains that children that have made semi annual visits to the dentist often have healthier teeth and are more often able to get Invisalign instead of metal braces. Dr. Buddy Hollowell and Dr. Allen Porter of Triangle Pediatric Dentistry have years of experience working with toddlers and know what it takes to provide them with the quality, compassionate dental care they deserve. To schedule an appointment, call us today at (919) 435-7660. We look forward to helping your child achieve healthy teeth for a lifetime.